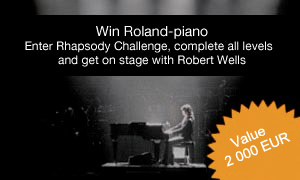 Get video lessons with the world famous pianist Robert Wells! Here at Kingofpiano.com, he teaches you basic techniques and the art of playing Boogie Woggie and classic Master pieces. Step into our Virtual Concert Hall and play modern and Classical hits. 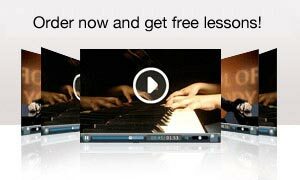 Kingofpiano.com combines education with entertainment and is as fun for the new beginner as well as the advanced musician. Practice, Play, Collect Trophies, Diplomas and win exclusive Prices. Kingofpiano.com Basic membership is always FREE for everyone! Right now you also get a FREE month of Premium membership as well. So join today, you won’t regret it! Right now 30 days Free Premium trial! How to use the code? It’s simple. Register as member then click “Upgrade to Premium” on your account page. Enter your Campaign code: wells and you are ready to go. Get set, and let’s have some fun!